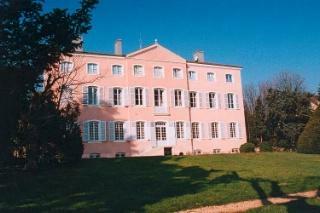 CHÂTEAU DU CHATELARD is situated in the heart of Crus du Beaujolais between Fleurie and Morgon (20kms South of Macon). Rebuilt during the 18th and the 19th centuries, Chatelard is a "poype" (building situated on a hill and surrounded by ditches). Its arched caves are the only vestiges of its 12th century origins. The estate is now managed by Aurélie de Vermont, oenologist and daughter of a Beaujolais winemaker, with over 15 years of experience.